My first card from Costa Rica comes from Erick. 🙂 It pictures the National Theater. It is located in the central section of San José, Costa Rica. Construction began in 1891, and it opened to the public on 21 October 1897 with a performance of Johann Wolfgang von Goethe’s Faust. The National Theatre stood as a cultural asset of the country during a time when coffee exports were a source of its success. The building is considered the finest historic building in the capital, and it is known for its exquisite interior which includes its lavish furnishings. San Jose (“Saint Joseph”, Spanish: San José) is the capital of Costa Rica, head of the province of San José, and the nation’s largest city. Located in the Central Valley, San José is the seat of national government, the focal point of political and economic activity, and the major transportation hub of this Central American nation. The population of San José Canton is 288,054, though the metropolitan area stretches beyond the canton limits and comprises a third of the country’s population. Culturally, the city can be considered almost entirely European influenced, in part because of Spanish immigration soon after Costa Rica’s discovery by Christopher Columbus, and the privileged classes which generally studied in Europe during the nineteenth century and early twentieth century. This can be seen in the architecture of the city, namely theatres, museums and houses in the city centre. It is named in honor of Joseph of Nazareth. 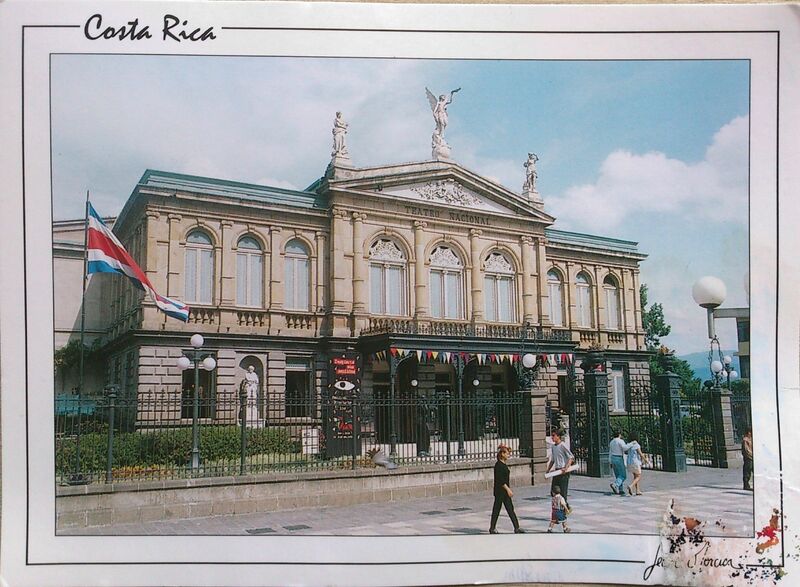 This entry was posted in Costa Rica and tagged Central America, Christopher Columbus, Costa Rica, Joseph of Nazareth, National Theater, San Jose. Bookmark the permalink.